Huawei Ascend W2 to arrive alongside mid-range Ascend W1? The Windows Phone 8-powered Huawei Ascend W1 may not be alone when it arrives later this year, with a second, flagship model in the works. Earlier this month the Huawei Ascend W1 release date was mooted as September 25, but seeing as that's tomorrow and we've not heard from the Chinese firm, we can be pretty certain it's false – but new sources suggest it's still on track hit shelves in November or December. Sources "inside the company" went on to reveal that the Ascend W1 will set you back around $320/£200. At that price range the Ascend W1 will slide comfortably into the mid-range smartphone bracket, pitting it against the recently announced Windows Phone 8-toting HTC 8S and Nokia Lumia 820, plus a fleet of Android handsets including the Orange San Diego. However Hauwei may not be done and dusted there, as fresh rumours suggest it's also lining up a flagship Windows Phone 8 device to take on the HTC 8X and Lumia 920 – which is currently being dubbed the Huawei Ascend W2. Huawei is the last, of four manufacturers Microsoft gave the green light to produce WP8 devices, to announce its handsets and with Nokia, HTC and Samsung all pitching their designs, we expect to see the Chinese firm step up to the plate soon. 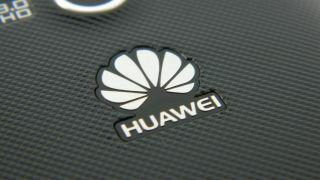 We've contacted Huawei about its plans for its Windows Phone 8 devices and we'll update this article once we hear back.